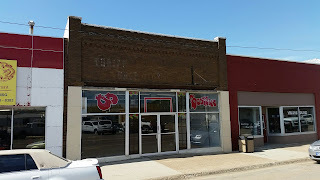 Great commercial unit for sale in Glasgow, Montana! Work in town during the weekday & drive just a few miles to Fort Peck Lake for some walleye, trout or salmon fishing on the weekend! Unit is on Glasgow's famous front street, the ideal location! 7,020 total square feet of commercial space. This unit has 3,510 square feet on the main floor and 3,510 square feet in the basement; electric, heating & air conditioning have been updated in the last 5 years. Motivated seller is ready to move this property! Priced at $100,000, call The Helland Agency for more information! 406-228-2114!